Welcome to the wonderful world of the small equine’s! Come join us and the members of the Saguaro State Shetland Pony & Miniature Horse Club at Olsen’s Chino Valley store. Meet the little equine that have stolen our hearts. Miniature horses and ponies can be show horses winning titles and trophies or simply pets winning the love of their owners’ hearts. 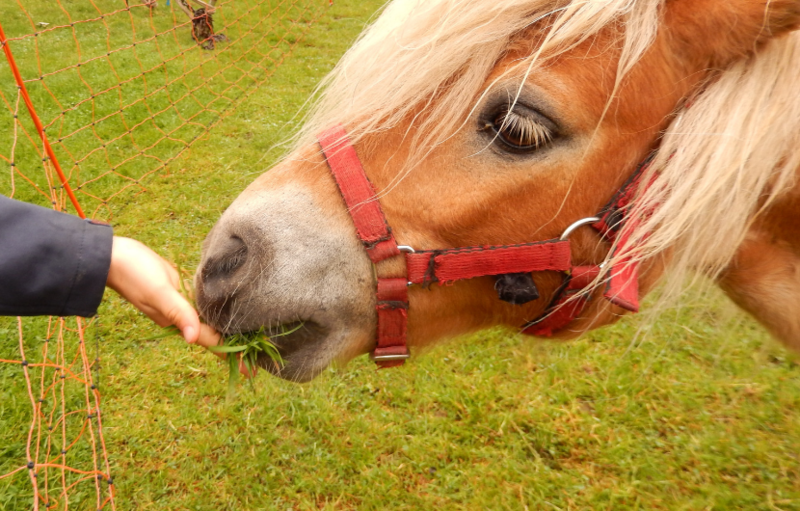 Minis are a great way to introduce children to the world of horses. Mini horses offer great enjoyment being driven with carts around the neighborhood streets or along country roads. Also, they are great for just hugging! Learn more about these animals and ask questions of our knowledgeable members. Also, enjoy a Huge Bake Sale with many yummy treats to help promote and support these little guys. If you have questions about our Olsen’s Meet a Miniature Horse Day feel free to contact us at Olsen’s Grain Chino Valley. This entry was posted on Tuesday, March 26th, 2019 at 6:41 pm	and is filed under Events, Horse, News & Updates. You can follow any responses to this entry through the RSS 2.0 feed. Both comments and pings are currently closed.